B. Thomas (Arlington, Texas, United States) on 23 January 2013 in Plant & Nature. Hibiscus in a friend's yard in Texas a couple of months ago. Hopeful I'm seeing some of these in a far away place right now. There are several hundred species that are native to warm-temperate, subtropical and tropical regions throughout the world. *No computer access for another week. Beaux détails de cette fleur se détachant sur un bel arrière plan . Fine details of this flower set against a beautiful background. Beautiful image. Have a nice day. Just gorgeous! I love your choice of aperture, too! Stunning color and beautiful detail! Beautiful photo ... the colors and details of this flower are wonderful !!! 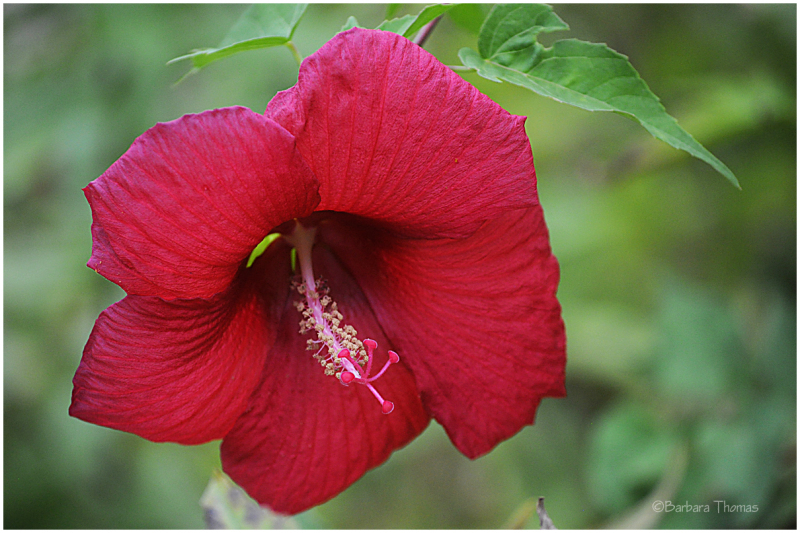 Beautiful the flower, beautiful the colour...Well, I'm happy that we can see them here in warm weather, but Okinawa is the place where Hibiscus is a tree!